Evaleen Jaager Roy advises CEOs on talent and strategic Human Resources and coaches executives for top performance. Her clients span the architecture, development and investment sectors and also include some of British Columbia’s leading non-profits. Prior to starting her own company, Evaleen served as Vice President of Human Resources for Electronic Arts, helping to build the industry for a decade in its early high growth years in Vancouver, across Europe and globally. She served as HR Director at Westcoast Energy and began her career in the US auto sector, working in Detroit and New York City. Evaleen is an active and well known community builder. She served as Board Chair at Simon Fraser University, the first alumna to be elected to this role. 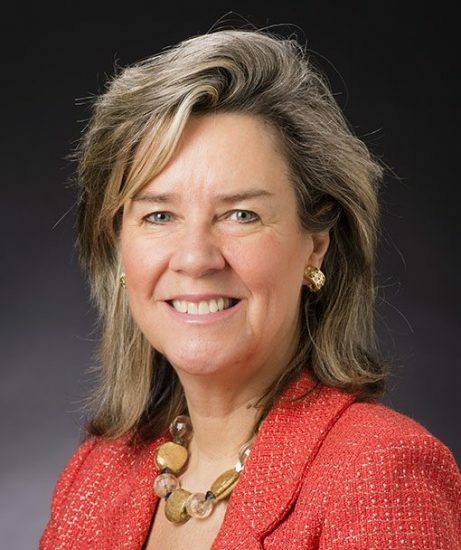 Currently, she is Vice Chair of the Beedie School of Business Advisory Board at SFU as well as the Co-Chair of the Innovation Advisory Council. Evaleen also served as Board Chair at Emily Carr University of Art + Design, helping to pave the way for the iconic new campus. She is Past Chair of the HR & Compensation Committees of the Banff Centre – the world’s largest arts and creativity incubator – and the Asia Pacific Foundation of Canada. She is past Board Member at Curatio, one of BC’s celebrated early stage companies. Evaleen is recognized as an outstanding Alumna from SFU, is a BIV Influential Business Woman Award winner as well as a recipient of the Queen’s Diamond Jubilee Medal. In recognition of her community impact, she has received Honorary Doctorates from Simon Fraser University and from Emily Carr. She holds an MBA from Harvard Business School and a BBA (Hons) from Simon Fraser University. Evaleen works closely with CEOs and top executives to achieve business results through people – this includes executive recruitment, top team alignment for high performance results, coaching, organizational restructuring, team building, and business expansion. She collaborates closely with her business partner Patricia York of York HR Solutions and with Carol Robinson at Harbour West Consulting. They have built a robust and growing business based solely on referral – a testimony to their delivery of business results. They love what they do and are privileged to work with amazing and successful clients. 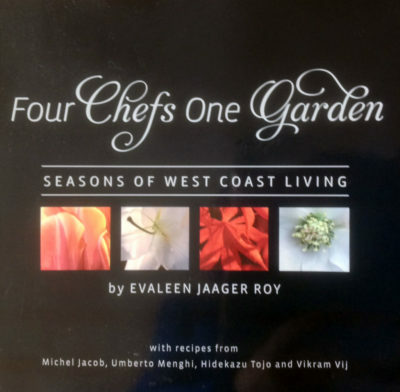 Evaleen is the author of Four Chefs One Garden – a lush, colorful book about Vancouver cooking and gardening – featuring chefs Umberto Menghi, Michel Jacob of Le Crocodile, Tojo, and Vikram Vij. The book sold at over 50 BC retailers and won the Surrey Writer’s Festival 2011 Griffin Prize. Through book sales, a sizable donation was made to the YWCA’s Crabtree Corner, which helps to feed Downtown Eastside kids and families. Evaleen brings a wealth of international executive experience. She is a valuable CEO coach and advisor. At Kasian, she has helped me restructure the top team in alignment with business priorities, and worked with me to enhance accountability and leadership team performance. She is unique in being able to easily deliver both strategic thinking and vision, but also delves into the details to help execute. She is also using her broad international HR experience to coach and guide our HR function. Evaleen brings a sophisticated expertise to her assignments. She has an ability to grasp issues from the client's perspective and to work collaboratively on both strategy and execution. Her extensive background in working at the executive level with global organizations in different business lines allows her to bring a comprehensive solutions based approach to almost any type of challenge or opportunity facing an organization. Evaleen provided expertise, energy, creativity and vision to our project on refocusing the role, strategy and structure of our Board of Advisors at University of Victoria. She quickly identified the issues and helped clarify what needed to be addressed. She worked collaboratively with us and the team to develop a practical plan and recommendations. We were able to implement the recommendations and move forward with the plan. She brought great insights, innovation and knowledge from her extensive experience. Additionally, she was a pleasure to work with. Evaleen is one of the best consultants I have worked with. She has been enormously helpful to the leadership team and all of the staff at MSFHR. Her broad business experience, depth of knowledge and strategic approach has been instrumental to our transformation into a high performing organization. Evaleen is a creative, determined and accomplished person. My experience with her spans some 30 years, from Simon Fraser University to her present consulting business. President & CEO of Kingswood Capital Corp.
Evaleen has been instrumental in helping us grow and develop the Renewal Funds team by leading effective sessions that have helped the team get clear on goals, strategies and better team communication. She is also a pleasure to work with and very effective as a 1:1 CEO Coach. I would highly recommend her. Evaleen has been an invaluable partner for me as CEO at Michael Smith Foundation for Health Research. Her expertise, keen sense of humour, calm approach and perspective are all brought to bear in her CEO coaching sessions and business problem solving. I have worked with Evaleen for over five years and continue to develop my leadership skills thanks to her guidance and coaching. I would highly recommend her.